Ellsberg exposed the Pentagon Papers. He just released a statement regarding Chelsea Manning, who was jailed Friday by the U.S. government for refusing to comply with a subpoena to testify in front of a grand jury believed to be investigating WikiLeaks’s publishing activities. 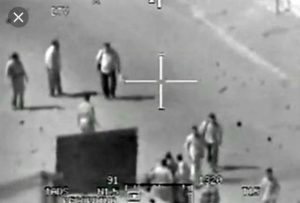 Manning revealed information that WikiLeaks made public, including the “Collateral Murder” video: collateralmurder.wikileaks.org.